Halloween is almost here! If you love this holiday as much as I do, why not say “Happy Halloween” to your friends and family with a greeting card? 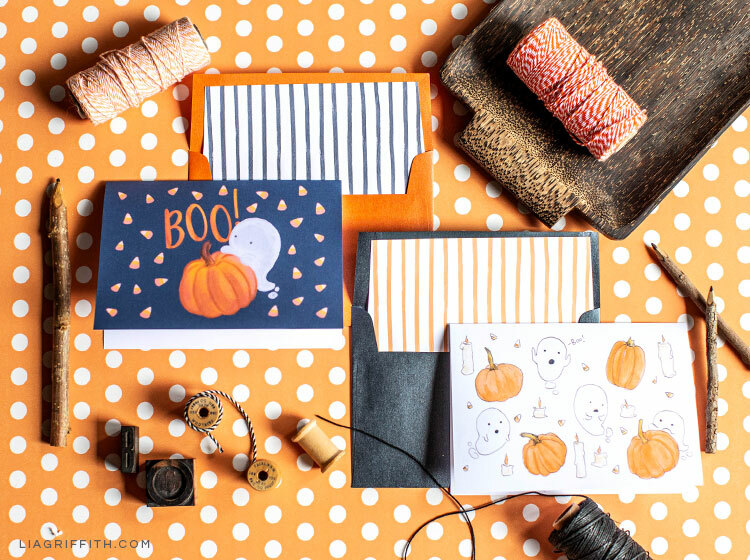 Today we’re giving you these free printable Halloween cards and envelope liners, courtesy of Canon. These little ghosties are so simple, yet so cute. If you’re wondering who the brilliant illustrator is, it’s my daughter, Emily Blue! She created two options for us to share with you. And thanks to our friends at Canon, these Halloween cards are FREE. 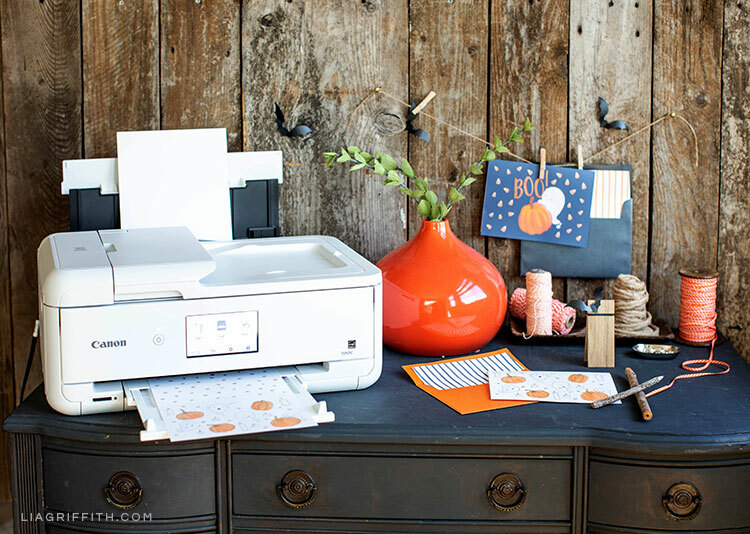 Since this DIY craft is printable, it’s easy peasy! It’s also a good one for both kids and adults. We used Canon’s new crafting printer to print these Halloween cards on pre-folded 5×7 cardstock. Then we printed our envelope liners on 8.5×11 text weight paper from PaperPapers. If you missed our last post about Canon’s new crafting printer, we like using it for a few different reasons. For starters, it makes printing greeting cards really easy since you can do borderless printing on 12X12 paper and pre-folded greeting cards. And since it’s All-in-One, you can use it to print photos and copy and scan documents. You can also wirelessly print photos, documents, web pages, and more from your mobile devices. 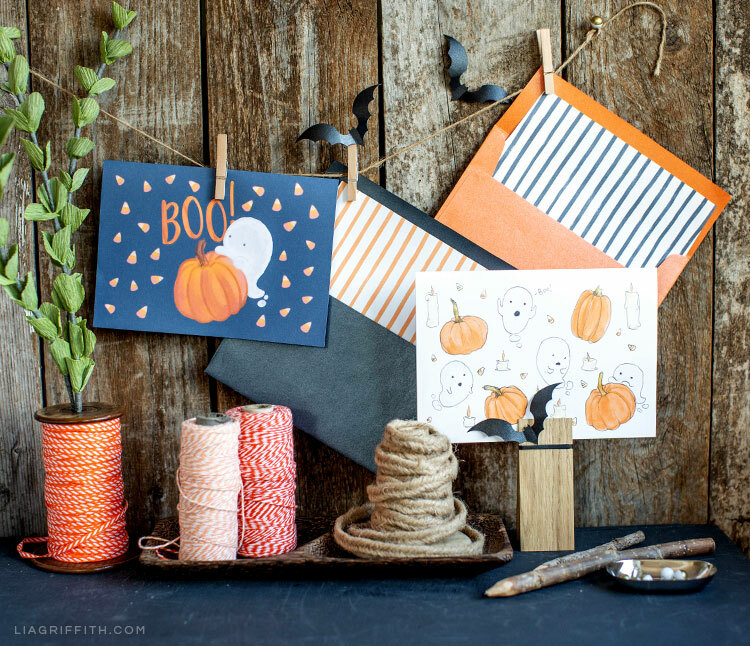 Once you’ve gathered the materials for this DIY craft, scroll down to download your free printable Halloween cards. Once you’ve printed your cards and envelope liners, write a note inside, sign it, and send it off to your loved ones. If your kids are the ones sending the cards (and you happen to have the Canon IVY), you could even take a photo of them in their costumes and then print and stick the photos on the cards! 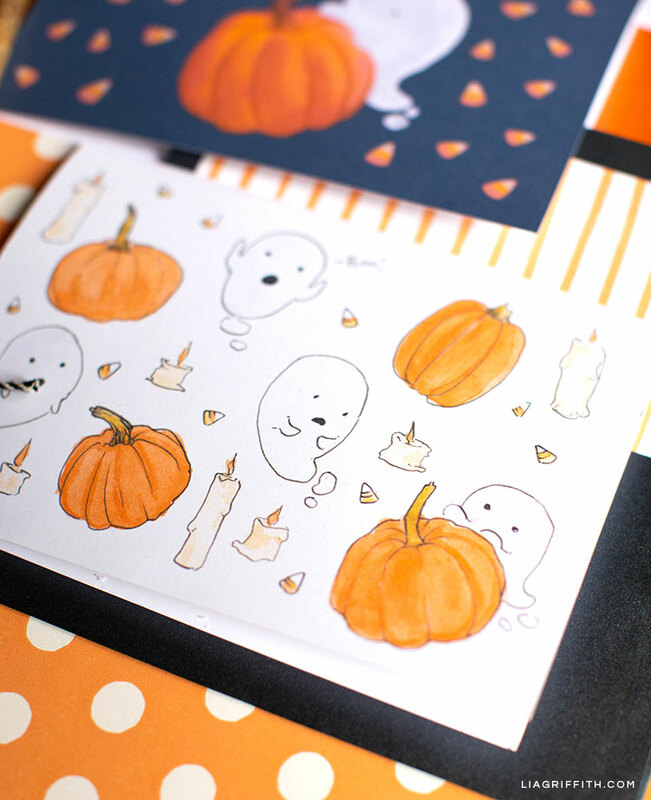 Scroll down to download your free printable Halloween cards and envelope liners. Then all you have to do is print them! 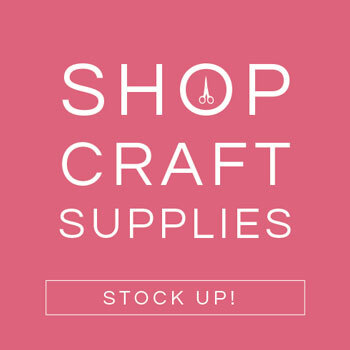 You can find all of our printables here. 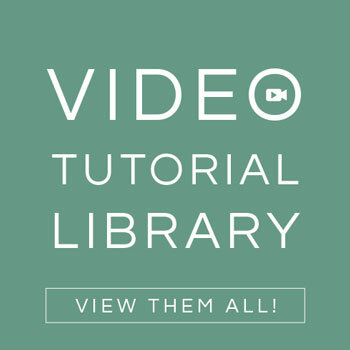 And if you need more fun and simple DIY ideas for Halloween, check out our quick and easy Halloween decorations. 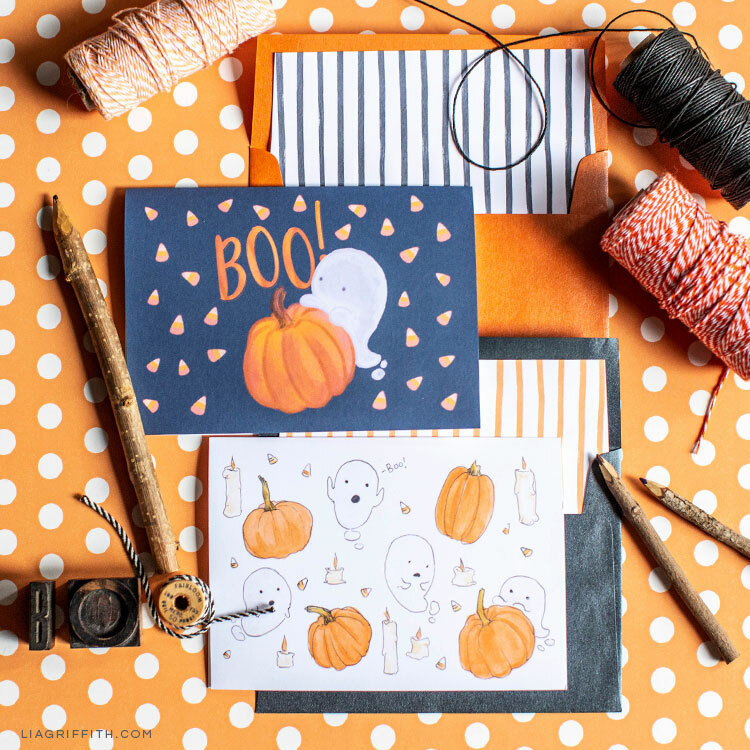 While we give away freebies sometimes (like these free printable Halloween cards), you can also become a member to explore all of our DIY projects. 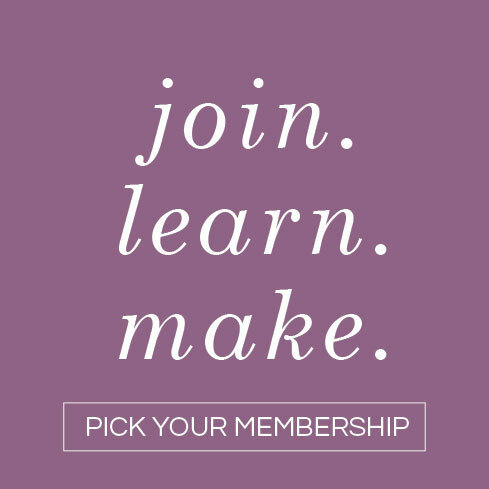 Membership includes access to SVG cut files, printable templates, and step-by-step tutorials for all of our crafts—as well as fun perks! Hi Tammy! We’re so sorry you’re having issues with this. Could you please send an email to hello@liagriffith.com and we’d be happy to get the file over to you!